Routine maintenance is essential when tending to trees especially if you want to give your garden or outdoor space a clean and manicured appearance. Trimming trees is a must, but you don’t have to spend your money on professional companies to cut those messy lower branches. You can do this task yourself and even have fun with it. As long as you have the proper tools for trimming trees, you can quickly transform your outdoor landscaping and even promote tree growth and health. Check out what you’ll need to get started. Keeping your feet on the ground when you are pruning back higher limbs in your trees is a great way to ensure that you aren’t in a dangerous position while completing this work. It’s a good idea to turn to a pole tree pruner for this job. These tools have a head that is curved with a second blade that can be operated from below to close against the first blade, efficiently cutting the limb or branch. These tools can be a little tricky to learn how to use at first because you have to be able to carefully hook them over the branch that you are going to be cutting and then operate the rope to shut the second blade. if you are uncomfortable with handling the motions required to complete this work, then you may be much better off choosing a tree saw, which operates more like a saw, where this pruner is more like a lopper or pair of pruning shears. To be able to quickly and easily cut through thicker limbs and branches without having to climb the tree or pull out a tall ladder, you will want to choose a gas pole saw on an extendable handle. These saws have longer blades that are usually serrated so that they can easily grip the wood that you are cutting and make your task a lot easier. You can either move the whole tool back and forth to carefully saw through the wood or use an attached rope to operate the saw head. These tools do take upper body strength to be able to operate since you have to hold them over your head for an extended period of time. Look for one with very large and sharp teeth to ensure that your job is finished as quickly as possible. You can easily choose between gas-powered models, electric pole saws, and cordless pole saws that run on a battery. Finding the right one for you will take a little time of weighing the pros and cons of each available type. This is a portable and mechanical saw that will cut through very thick wood without problems, making it incredibly fast and easy to trim your trees without a lot of effort. When you use a chainsaw you will find that you can quickly finish your task and that you aren’t limited by the size of the branch or the limb that you are going to cut. Unlike other tools which can only cut smaller pieces of wood, you can easily buy a chainsaw that can handle very thick pieces of wood without any problems. Depending on the size of the limbs or branches that are you going to be cutting, you will want to think about the size of the engine in your new chainsaw, as well as how long the cutting chain will be. While even smaller, electric chain saws are incredibly powerful when compared to other tools, if you want to be able to easily cut any branch, then it’s better to opt for a larger, gas-powered model. Of course, using safety equipment when using a chainsaw is important, as you do not want to accidentally put yourself in any danger when using this tool. Loppers are a great tool to have on hand if you are going to be trimming your trees, as they make it very easy to cut smaller branches and twigs without having to get out a much larger tool or piece of equipment. They consist of two handles that move in a manner similar to scissors and have very sharp blades on the head of the tool that can cut through wood without much problem. The handles are often long and need to be operated by two hands so that you can be sure you have the most control over your tools and will not have an accident. Some newer types of loppers have advances that will make them easier to use and will increase the force at which they can cut. They will consist of the main lopper design with an additional compound lever system that can increase your force. Another options is a ratchet drive to help ensure that you get the most power possible out of your loppers. Without these boosts in power and strength you may find that it is difficult to get your loppers to cut through newer wood or thicker pieces without a lot of problems. Also known as “hand pruners”, these are much smaller tools that are beneficial for cutting smaller limbs and twigs of your trees. Because they are so light and easy to use with just one hand, you can easily put your pruners in your pocket and climb up a ladder with them, making them a safer option than trying to take alternative tools with you into a tree for use. They are generally strong enough that they can be used to prune even hard branches that are almost an inch in diameter. A short handle with very strong blades are what sets pruning shears apart from other tools that you may use to trim your trees. There are two main types of blades that you can opt for when you are going to be buying pruning shears. Stainless steel pruning shears are beneficial because they are very resistant to corrosion. Unfortunately, they do not last for a long period of time. Carbon steel pruning blades are much more durable and will last for a long time, but they can become damaged from damp and are prone to both staining and corrosion. You can opt for blades that are coated in titanium if you want to help your blades keep their sharp edge, resist corrosion, and last for a long time. If you are interested in blades that have been coated in titanium, then you can easily tell them apart because they have a gold color. Depending on the type of tree that you are going to be trimming, as well as how thick and full the leaves are, you may be able to use hedge shears for part of the job. These are perfect for cutting back thick growth after your tree has grown a lot and are very inexpensive to buy, if you opt for manual hedge trimmers. On the other hand, if you want to reduce the amount of work that you will have to do and decrease how long your trimming job will take, you can opt for motorized hedge trimmers. These operate with a cutting mechanism that is very similar to finger-bar mowers and have safety devices included so that you are not likely to injure yourself. Pruning saws are great for sawing through branches and limbs when you are able to get close to the tree and can use the strength of your upper body to help you cut. They often have a slight curve to the blade, which will help them to remain on the branch that you are trimming. Look for a pruning saw that will fold down into the cover when it is not in use so that you don’t have to worry about accidentally cutting yourself when you want to store your saw. They have very short handles, so they are not ideal for trimming areas that you can’t easily reach, but they make it simple to cut close to your body. Because they often fold down into the handle or can be easily sheathed, they are ideal for carrying with you up a ladder or climbing into a tree when you want to be able to get close enough to have a lot of control over what you are trimming. It can be very difficult to reach high up into the tree that you are trimming to remove dead or unnecessary branches without getting on a ladder. Unfortunately, this can be very dangerous and many people prefer to keep their feet firmly on the ground when they are trimming a tree. To ensure that you can still remove all of the higher branches that need to be cut, you will want to make sure that you have tools with telescoping poles. These will allow you to easily increase the length of the tool that you are using so that you can reach higher up into the tree without any problems. It’s important that you look for tools that have a locking mechanism once you have telescoped them so that you won’t have to worry about the tool collapsing in on itself while you are using it, which can be very dangerous. If you have never before trimmed your trees, then it is very likely that you do not have all of the equipment that you are going to need. Rather than worrying about what tools you will need to complete the job quickly and correctly, when you but a package with the necessary tools, you can be certain that you will be able to start trimming your trees right away. These packages may not have the highest quality equipment or tools included in them, but they are really the best way to start trimming your trees without much of a delay. When you aren’t sure what tools will best benefit you, then buying a trimming package is a good idea. Make sure that the package includes a telescoping pole as part of the equipment that you get so that you can easily reach up into your taller trees without any problems. Normally when you buy tree trimming tools you will be buying ones that are cordless, as these are easier to operate without having to worry about accidentally cutting or otherwise damaging the cord while you are working. Battery-operated tools are often very lightweight, making them an ideal choice if you are going to be holding your new trimming tool above your head for an extended period of time while you are working. One thing to consider when buying battery-operated trimming tools is how long the battery will be able to last between charges. Not only will this play a huge role in how long you are able to work in your yard before having to stop and recharge your batteries, but it will also affect how powerful your tool is. Tools that need to be recharged on a regular basis generally won’t have the same amount of power as tools that can go longer between charges. This can make it very frustrating when you’re working and having problems cutting through branches or limbs. 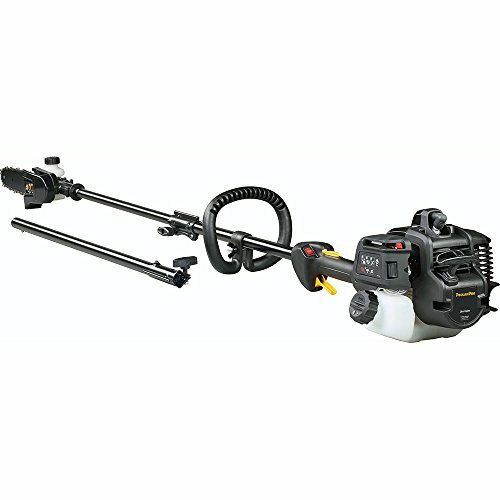 Gas-powered trimming tools are incredibly strong and reliable as long as you do not have problems getting them started. They are also generally much heavier than other types of tools, which can be frustrating if you do not have a lot of upper body strength and want to be able to easily use your new trimming tools. Another reason some people do not prefer gas-powered tools is that they can be difficult to care for and usually need to be drained during the winter to protect the tool. However, you won’t have any problems trimming large limbs or branches when you opt for tools that are gas-powered, as these are the toughest and hardest-working type of tools available. They can easily cut through dead or living trees without any problem and will make short work of any trimming job that you want to complete, even if you are removing large branches. It’s important to always have ear and eye protection because you do not want these powerful tools to cause bits of wood or sawdust to fly into your face or the loud engine to damage your hearing. While in the past, electric yard equipment was not thought of as being very powerful, that has changed recently, and it is now possible to get electric tools to trim your trees that are very powerful and easy to lift and use. While many people still reach for gas-powered equipment when they want to trim their trees, there are a few benefits that you can enjoy when you use electric equipment instead. Not only are these tools incredibly easy to operate, but they will not fail you or turn off during operation. As long as you have a constant source of power, you won’t have to worry about whether or not your tools are going to work the way that you need to them to. Additionally, electric tools are incredibly lightweight, reducing the risk of injuring yourself when trying to use a tool that is too heavy for you to manipulate easily. While gas-powered equipment tends to be very loud and disruptive when in use, you don’t have to worry about that problem when you opt for electric. These tools are incredibly quiet, making them ideal for use in the early hours of the morning or later in the evening. Finally, you don’t have to worry about how to store these tools for short or extended periods of time. Because there isn’t any gas to drain or to leak, they can be stored for long periods of time without worrying about whether or not you are going to accidentally compromise how well the tool will work in the future. No matter how long you are going to be working on your trees, it is important that you opt for ergonomically designed equipment and tools when possible, as they will decrease the pain and pressure that you feel in your hands. This is especially important if you have hand problems or arthritis, as holding heavy tools and making repeated motions can cause a lot of problems if you are not careful. In addition to the shape of the handle, it’s a good idea to look for tools that have rubber or a softer plastic on them. Not only will these materials be more comfortable for you to hold, but they are also easier to grip when they get wet. This means that you won’t have to worry about them slipping out of your grasp when you are working on wet trees. Anvil shears or loppers are able to remove larger branches without you have to worry about whether or not you are going to be able to make a clean cut. Anvil tools are able to easily cut through dead material that is very thick without springing and causing the blades to become forced apart. They are generally less expensive than bypass loppers or shears, which is a benefit that many people enjoy, but they will tend to cause more damage to the tree that you are working on. For that reason, if you are going to be pruning or trimming back your tree and working on live branches, you will need to forego anvil pruners or loppers and reach instead for bypass pruners or loppers. Anvil pruners or loppers work with a crushing movement that can easily cause a dead or a brittle branch to pop apart. Bypass cutters are difficult to use on dead plants and are best suited for use on live plants. This is because of the way they are made. Bypass loppers or pruners have two blades that will glide past each other, and dead material can easily get twisted in between the two blades, damaging the bolt that holds the blades together and making your tool much less effective when cutting. For this reason, bypass cutters are preferable when you are going to be removing live parts of your tree, as they will create very sharp and clean cuts, reducing the risk of damage to your tree. Additionally, bypass loppers and cutters work much better on smaller branches and twigs, so be sure to bear the size in mind when reaching for your tools. One major problem that many people have when using a pruner to remove or trim back dead branches high in their tree is that they struggle with handling the ropes. Being able to control the ropes used to operate the pruner is important, as it will ensure that you can easily cut the desired limbs from your trees without any problems. Unfortunately, depending on the type of tree that you are pruning and how many smaller branches you need to be able to navigate around, it’s normal to deal with a rope that gets stuck on other branches. When you opt for a pruner that has a specialized grip, you won’t have to worry about this problem, as the ropes are contained inside of the grip itself. This will eliminate the change of your ropes getting caught on the branches in the tree where you are working, making it significantly easier for you to complete the task at hand without a lot of frustration. These grips may be a bit larger to accommodate the rope, but they are generally molded to make it easy and comfortable to hold them. If you can’t decide whether you want a pole saw or a tree pole pruner, then you may want to opt for a tool that offers both abilities. Being able to adjust how you are trimming the tree that you are working on will make it easier for you to remove branches from any tree in your yard without a lot of problems. These tools make it easy to move from branch to branch without having to stop and get a different tool out of your garage or your shed, which can speed up how quickly you are able to complete your yard work. 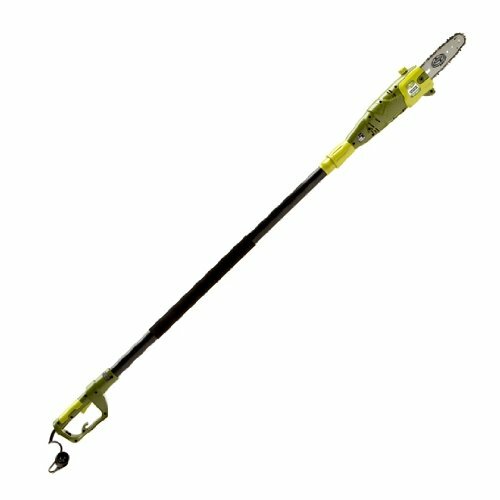 You have shared excellent informative post on this page about the trimming of trees with in a short interval of time according to the rules and regulations of a country but If you can’t decide whether you want a pole saw or a tree pole pruner, then you may want to opt for a tool that offers both abilities. Being able to adjust how you are trimming the tree that you are working on will make it easier for you to remove branches from any tree in your yard without a lot of problems. These tools make it easy to move from branch to branch without having to stop and get a different tool out of your garage or your shed, which can speed up how quickly you are able to complete your yard work ,so you must be take care of your self ,otherwise you may be loose .